A story about losing your way and finding your life. Book 1 of 3. Elizabeth Lara built a perfect life as San Franciscoâ€™s top divorce attorney, but when she loses her great-aunt Mags, the woman who raised her, she boards a plane and leaves it all behind. The Irish shores welcome her as she learns a shocking truth, kept secret for thirty-five years. Devastated and now alone in the world, Beth tries to find peace in a beautiful cottage by Lough Rhiannon, but peace isnâ€™t what fate had in mind. Almost as soon as she arrives, Bethâ€™s solitary retreat into the magic wilds of Ireland is interrupted by Connor Bannon. A man with light brown hair, ice blue eyes and a secret of his own. Heâ€™s gorgeous, grieving, and completely unexpected. With the help of Magsâ€™ letters, the colorful townspeople of Dingle, and Connor, Elizabeth might just find a way back to the girl she lost long ago and become the woman she always wanted to be. Be forewarned you might not want to start this book late at nightâ€”several readers have reported â€œgobbling it upâ€ and going on to the next book immediately. This book is literary womenâ€™s fiction, it is not a traditional romance, per se. Itâ€™s a trilogy, not a standalone. All three books are vital to the story: The Irish Cottage, The London Flat, and The Paris Apartment. If I crammed Elizabeth & Connor’s story into one book it would be 1,000 pages long. That being said, Iâ€™ve found that traditional romance readers are VERY happy at the end of London. So take a ride with me, first to Ireland and then the world. 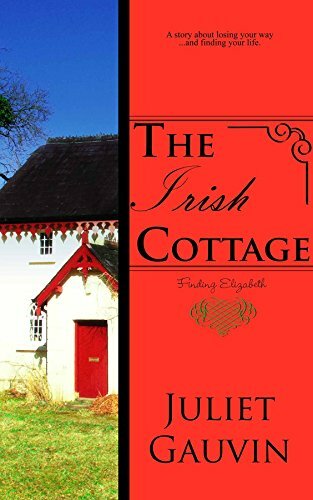 The Irish Cottage: Finding Elizabeth is an international womenâ€™s literary fiction romance novel with three books in the novel series. Other themes include: romance literary fiction, womenâ€™s sagas, love stories, and second chances at life.